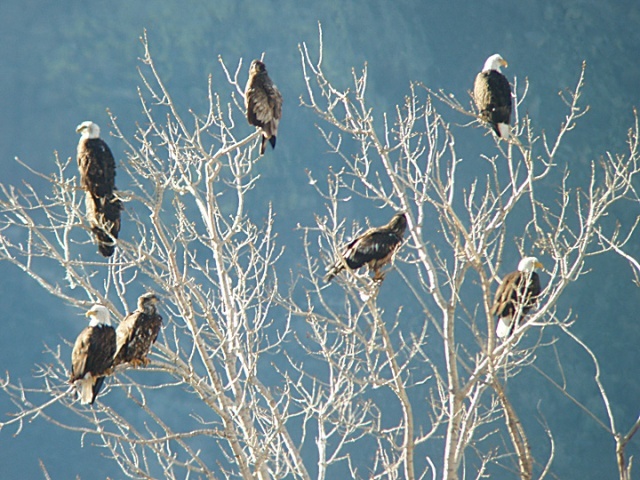 Eight Bald Eagles - four adults and four immatures - in a tree along the east side of Banks Lake, Grant County, WA. One other immature Bald Eagle was just out of the photo on the right side of the tree. February 17, 2005.